Summer is the perfect season to hit the road with your windows down and your favorite song on the radio. The only problem is you don’t have the ability to do so alone, because you don’t have your driver’s license yet! Luckily, MVD Express is here to help. At MVD Express in New Mexico, we make your trip to the MVD fast, efficient, and friendly. It’s no secret that the MVD is a place that people try to avoid for as long as possible, and we’ve made it our mission to make your time with us as pleasant as possible by giving you the option to schedule an appointment in advance. In addition to offering appointments and shorter wait times, we also offer all of the services that you would find at a traditional MVD. If you’re ready to get your driver’s license and hit the open road, contact MVD Express and let us take care of you today. 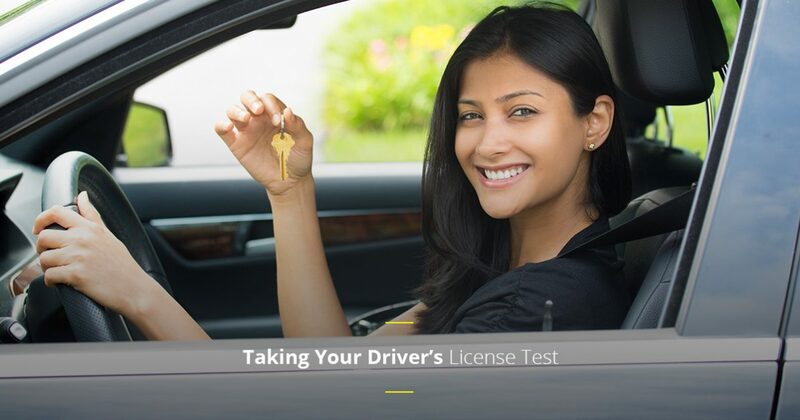 Depending on your age and experience, the requirements to take your road test and obtain your New Mexico driver’s license may differ. For example, if you are over the age of 24, you do not have to take the None for the Road educational course before obtaining your license. However, you will be required to pass both a written and a road test in order to receive your New Mexico driver’s license. You understand the New Mexico driving laws. You have had enough driving practice to feel comfortable. You have experience driving in inclement weather and darkness. You have successfully passed the written driver’s exam. You are the only person who can judge how comfortable you are behind the wheel, therefore you need to really ask yourself if you are prepared to drive responsibly in all types of situations before scheduling the test. The best way to prepare for your driver’s test is to practice. A theoretical understanding of the rules of the road can only get so far, and most drivers will agree that they learned the most when they were the ones behind the wheel. Take a licensed parent or guardian with you who you can trust to give you constructive criticism. Practice driving around local areas where you feel comfortable and work up to driving in more high-traffic areas, such as urban roads or highways. The best way to feel more comfortable is to make it a habit to drive and to make sure that you limit as many distractions as possible while you’re on the road. If you feel that you are ready and have met all other New Mexico requirements for driver’s license, you can schedule your appointment at any MVD Express location around the state. While traditional MVD locations may require you to wait weeks before you can take your test, MVD Express can sometimes get you an appointment that very same day! Whether you need to take a written driver’s test, or you’re finally ready to hit the open road without any supervision, MVD Express can help you get in, get out, and get on the path to freedom. Browse our website to learn more about New Mexico driver’s license requirements and give us a call to get started today!